Volunteering at NNRF is a challenging and exciting opportunity. We are only able to deliver such a wide range and scope of services because of the invaluable contribution of our volunteers, so thank you in advance for thinking about joining us! We can offer people from the local community an insight into the lives of those who have made incredible journeys to seek sanctuary in this country, and face them with facts about their experiences here. Up to a third of our volunteers come from a refugee or asylum seeking background themselves. Volunteering at NNRF enables them to maintain their existing skills and develop new ones. It increases their confidence, improves their communication skills and motivates them to keep active and engaged. 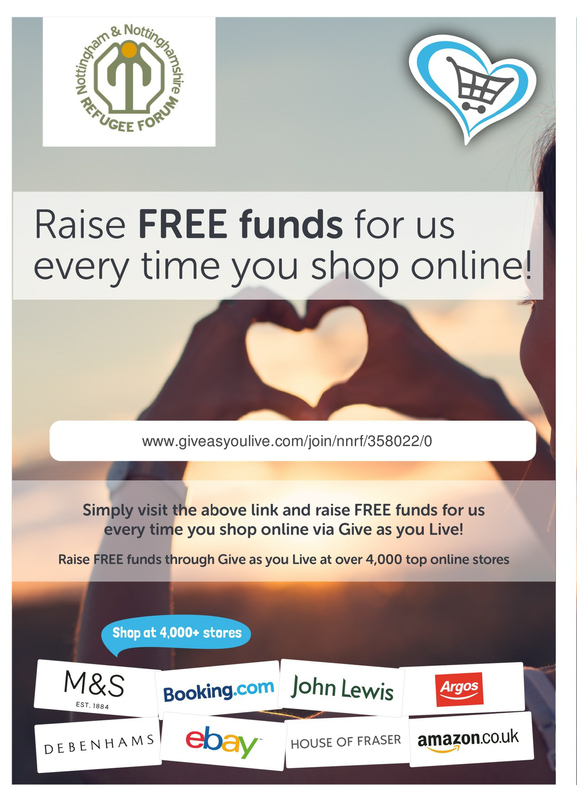 Helping at one-off fundraising or awareness-raising events. We are looking for bilingual individuals with relevant languages to volunteer as interpreters, supporting advice services at Refugee Forum. In order to volunteer you must first complete the in-house training Introduction to Community Interpreting which is organised 3-4 times a year. The training is part-time, 6 days held over a period of 3-6 weeks, and is free of charge. Q: I want to volunteer. How do I apply? A: The first step is to fill out the Volunteer Application Form. Click above or ask for a paper form at NNRF Reception, or simply email the NNRF volunteer co-ordinator who will happily send you the form via email. After we receive your completed application form, we will process it within four weeks and give you an overview of available roles and a timeline for recruitment. Q: I work full time and am only available evening and weekends. Can I still volunteer? A: There are limited opportunities for you to volunteer during those times, as most of our services (supported by volunteers) run Monday-Friday during office hours (9am – 5pm). There may be occasional or one-off opportunities in the evening as well as some limited opportunities available on weekends, so please get in touch anyway. A: You can apply any time during the year, but please note it will take a few weeks to process your application and we might not be recruiting for your chosen role for a while (e.g. we recruit general advisers quarterly in groups of 10-12; for some roles we may recruit only once a year or only after a few of the current volunteers stop volunteering). A: Please note that it is not possible to start volunteering overnight. First, you will be invited for an interview (individually or in a group; sometimes a telephone interview will do). 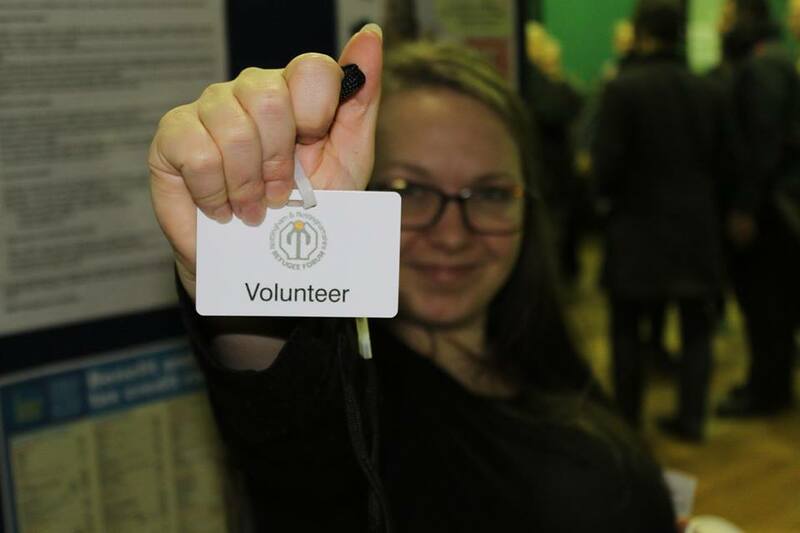 If we are happy with you joining the volunteering team you signed up for, you will receive an invitation to a general induction with the Volunteer Coordinator. This may be followed by a role-specific induction, where you will also discuss the remit of your role as well as the pattern of your volunteering (which days, how many hours per week etc.). By then, you should be ready to volunteer (for certain roles we will require a DBS check so you may need to wait until the DBS comes through before you can start volunteering). Q: How often and how long can I volunteer for? A: For most volunteering roles, we require a minimum commitment of six months. The frequency of volunteering depends on the role/project, e.g. at least one session a week in General Advice, at least one half-day shift per week at Reception, at least one Saturday per month for Saturday Food Group etc. We do not offer short-term or full-time volunteering opportunities. Q: Will I receive any induction or training for my role? A: You will receive a standard general induction for all volunteering roles (usually by the volunteer co-ordinator), followed by different role-specific inductions (either by the vol. co-ordinator or the manager of the project you will be volunteering for). Different roles require different amount of training, e.g. advisers will have to attend specialised training in the UK asylum process and adviser skills, receptionists receive training in reception & customer service skills; OISC-registered volunteers receive extensive training from the OISC and have to pass exams before being able to volunteer in the OISC-regulated roles within NNRF Legal Project. There is also a rolling training programme at NNRF, and all volunteers are eligible to attend any training session relevant to their role. Q: Will I need a DBS check? A: We will require enhanced DBS checks only if you volunteer with children and youth below 18 years of age, or in a OISC-regulated role. NNRF will do the check for you. You cannot start volunteering before we receive your clean DBS record. Q: Who will supervise me? highlighted during general induction. They are your point of contact for any volunteer role-related query. Volunteer Coordinator can also offer advice and support. Q: Can I volunteer in more than one role? A: Yes, as long as you don’t “double-book” your volunteering time/shifts. You may want to discuss volunteering in additional roles with your supervisor and/or volunteer coordinator. Q: Can I get expenses reimbursed? A: Yes, you can. NNRF can reimburse volunteers’ travel expenses of up to £5 for the day they volunteered (incl. attending induction, training or team meetings). You can claim your expenses by filling in the Volunteer Expenses Form (found at Reception, with instructions on the back side), getting it authorised by your supervisor, and then submitting it to “Volunteer Expenses” pigeonhole in Admin office by the end of the week/month. You will need to provide proof of expenses – travel ticket or mileage form – and attach it to the form. Volunteer expenses claims are processed weekly and your expenses will be ready for you to collect from Admin office the Tuesday after you have submitted the form. Q: Will my volunteering at NNRF lead to employment at NNRF? A: Unfortunately, not. The experience gained by volunteering with refugees and asylum seekers will most definitely help you when applying for positions at NNRF or similar organisations, but volunteering at NNRF is not a guarantee for a paid work position within the charity. Q: What do I do if I can’t volunteer any longer? A: You should notify your supervisor and/or the volunteer co-ordinator that you cannot volunteer any longer as soon as you know it (or as far in advance as possible). You can do this in person or via email. We would like to know why and when you are leaving, in order for us to find a replacement for you. Any feedback (positive or negative) will also be appreciated. Q: Can I get a reference from NNRF? A: Yes, NNRF can provide a reference for you for up to three years after you have stopped volunteering with us.